Call Mr. Appliance of Fort Smith & Schedule Yours Now! Is a broken refrigerator stressing you out? A dying oven causing frustration? Stop dealing with the consequences of a broken appliance and let Mr. Appliance of Fort Smith get them fixed as soon as possible! Our highly-trained Fort Smith appliance repair experts can fix virtually any home appliance from many major name brands so your home is completely covered. And the best part: when you call us and schedule a repair, your service call is completely free! Get started with your repair by calling Mr. Appliance of Fort Smith at (479) 240-2114 today. Appliances are expensive, so repairing them shouldn’t cost as much as replacing them outright. At Mr. Appliance of Fort Smith, we make repairs affordable by offering upfront, flat-rate pricing that never charges extra for overtime. If a job takes longer than expected, you won’t have to worry about paying anything extra. Your satisfaction is important to us, and we believe fair pricing is a large part of that. We stand by the work we do and back it all up with a one-year guarantee! Whether a replacement part fails, or our labor causes the problem to return, we’ll come back and fix it again at no additional cost to you! Your satisfaction and your home are our number-one focus, and we promise to leave your home working again and as clean as we found it! Customers come to us again and again because they know they can depend on us for a job done right, and on their schedule. We offer flexible appointments and work with you to find a time that works for you. We’re proud to serve homeowners throughout Fort Smith and the surrounding areas, including Van Buren, Greenwood, Alma, Mountainburg, and more! We’ve all been there before: You take time off work or away from your family, only to find that the appliance repair tech still hasn’t arrived yet. When you hire Mr. Appliance of Fort Smith, however, you’ll never have to wait on quality service. We pride ourselves on prompt arrivals, and our uniformed appliance repair technicians are committed to accommodating your busy schedule. For more than 20 years, Mr. Appliance has set the gold standard in repair service across the country. That’s because we view all of our customers as friends and neighbors, and we strive to provide them with the same high caliber of service we’d give to our own families. 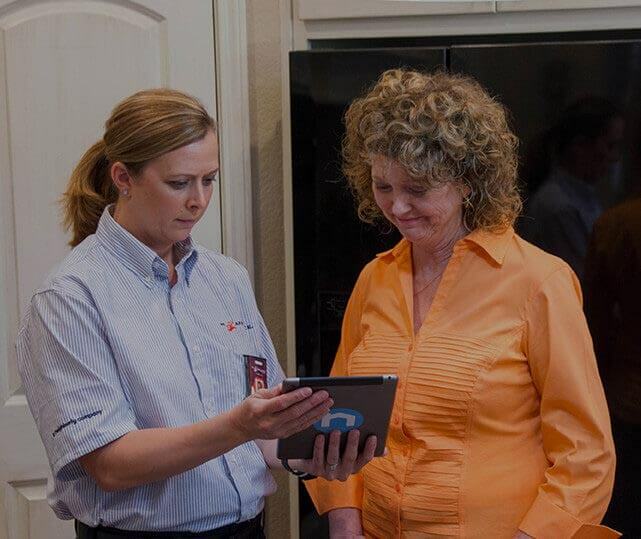 By offering polite, consistent, and professional service, we strive to create strong relationships with our customers, and help them prevent future issues with their appliances. Need help with an appliance repair task in the Fort Smith area? Just give us a call at (479) 240-2114 to get started with scheduling your service.